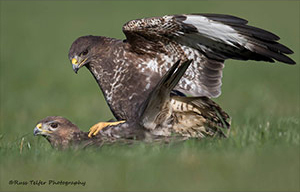 One of the more difficult British birds of prey to photograph due to their incredibly wary habits from years of persecution, the only way to to get close enough for consistently good photographs of Buzzards is from a well-established hide. 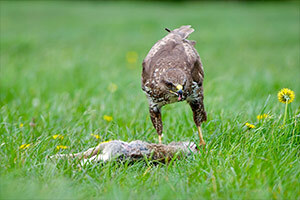 We place roadkill rabbits, pigeons, pheasants and hares down for the resident buzzards throughout the year and during the winter we see an influx of both young and older birds alike as they travel to set up new territories and find mates. Some years we find suitable nests for photography. 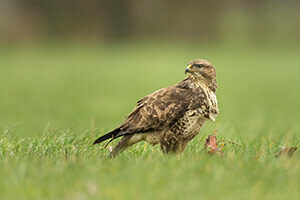 Should we find a nest this year information will be released through the newsletter. To see if we are currently working with this species see the active hides page.